A striking combination of vintage and modern design elements, this antique industrial wall clock will be a focal point in any room. The wall clock features an industrial style frame made from MDF wood and iron with a distressed white clock face for a vintage look. 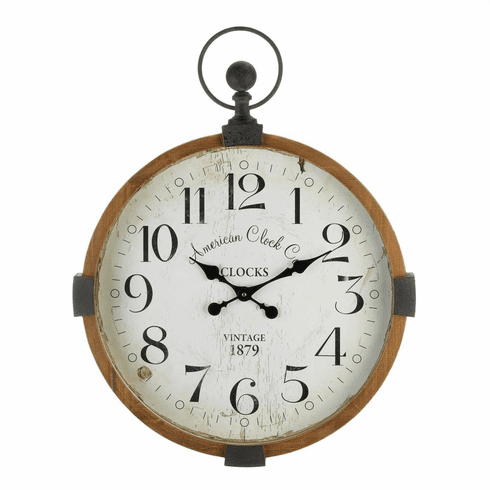 A stylish addition to the living room or kitchen, this large wall clock will infuse your space with modern elegance. Weight	8.6 pounds. 23.8" x 3" x 30.5. MDF Wood, Paper. UPC Number: 849179040857.